Spring is a wonderful period to travel the world. Often avoiding the high peak times of summer locations, it allows you to witness countries in bloom. Shrugging off their cold winter coats of snow and ice, Europe becomes a paradise of flowers and temperate sun, and for those who like a moderate heat, this is often the best time for an escape. Be it Trans-Atlantic, Mediterranean or even further afield, there are some simply divine destinations for a Spring holiday. Better still, with the luxury and practicality afforded by a cruise, you can set sail to a number of different incredible destinations in one trip. The dream of globe trotting from nation to nation is made a possible by boarding one our March or April time cruises. Below, we’re going to look at some of the very best destinations to visit over these spring months. There’s a lot to love about the British Columbian city in Canada. The coastal seaport is one of the world’s capitals for cruises, nestled onto the western side of North America. March and April are possibly the best months to visit this incredible city, with the famous floral areas revealing their inspiring true colours. 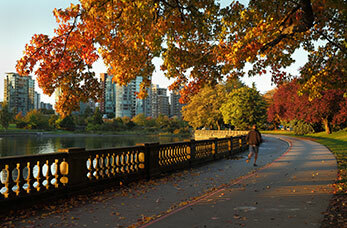 But it’s not just the foliage that makes Vancouver a world class destination. It’s home to some of the best museums in the world, respectfully presenting the native people’s art work across a number of locations. It’s also a prime spot to go searching for the city’s symbolic animal, the Dolphin, as well as majestic Killer Whales and large marine life. If you’re stopping off for a few days, before, after or during your cruise, take the trip over the Victoria Island to experience some of the best gardens you’ll ever witness, including the world renowned Butchart Gardens. If that’s not enough, Vancouver is also one of the most popular filming locations for Hollywood, so perhaps alongside the flowers and whales you could find yourself rubbing shoulders with a movie star! Whilst still in the America, it’d be harder to find a more contrasting holiday destination from the buttoned up Vancouver than the gorgeous and free Virgin Islands. Pristine miles of beaches are margins for the unbelievable clear blue waters as the sand backs on to luscious vegetation. April is perhaps one of the best months to visit this Caribbean destination, avoiding both the higher temperatures of summer and the busier peak crowds. Better yet, during the month of the fool, the St. Thomas carnival descends on the area. Offering both residents and visitors alike one of the best parties and celebrations in the area. 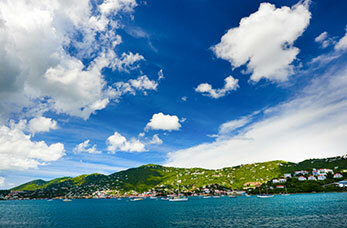 After the colds of winter, the Virgin Islands can provide you a warm haven, perfect for those seeking to spread out on the golden sands or partake in some of the many water sport activities available. However it’s not all coastlines. The islands boast a rich history filled with a number of authentic colonial era buildings, bringing a juxtaposition of mediterranean architecture to this peaceful land. Whilst you may not be travelling for Valentine’s day, the capital of love and culture is possibly at its best for receiving visitors in the spring months. Avoiding the hustle and bustle of the summer school groups and swathes of tourists, you get the chance to view the city before the cameras and A-Z maps descend on the area. Whether you wish to see the Mona Lisa in the Louvre, the impressionists of the D’Orsay or dine at some of the best restaurants in the world, there is so much to do in this historic landmark. Best of all, with the spring months the gardens come into full bloom, and you’ll be surrounded by the passion of nature in full glory as you travel through this tourists’ paradise. Travelling to Paris by a Cruise afford you the chance to not only a visit the French capital, but also offers a journey across the United Kingdom. These short trips allow you to visit the Irish capital of Dublin and the mysterious Orkney Islands. The Carnival goers may have shimmied on through come March and April, but the left over spoils are plentiful for those visiting the 2016 Olympic location. The more temperate weather still makes the city a warmer retreat than the UK, and the dry season promises a less soggy affair than for those left at home. 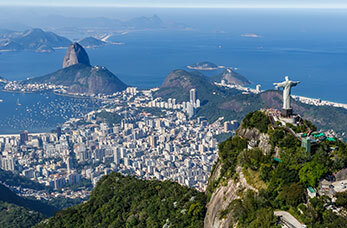 Rio De Janeiro is the Capital of this ever growing city, home to incredible beaches, a booming nightlife and a true experience of a city on the move. With the low season for tourists taking place, you can benefit from a reduction in prices when onshore and less of the vying tourists to contend with. Possibly one of the world’s best known landmarks, Christ the Redeemer, stands open armed and ready to welcome visitors to the city. Whether you’re seeking natural wonders or a fantastic authentic look at a vibrant population, Rio De Janeiro offers a completely different experience to life in Britain. If you’re searching for a party destination that provides a booming nightlife and a glorious seafront, then Miami is the place for you. Often the first stop on a cruise to the Caribbean and the Bahamas, come March and April the city becomes one of the premier destinations for Spring Break party goers. The area is awash with celebration by college students and young persons, with an unbeatable energy to the bacchanalia. 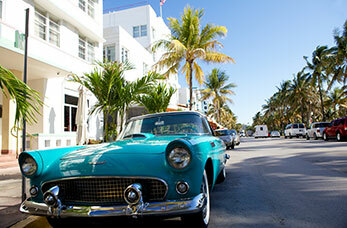 If booming beats and late night soirees aren’t your thing, then don’t be put off, as Miami holds more than just a big bash. The art deco buildings that coat the city landscape make it a truly unique insight into one of the biggest American cities of the 1920s, and the area is notorious for good quality art galleries. It’s not just on design that the area packs a punch, as there’s also some excellent shopping locations with big name brands scattered around the city. Not to mention some outstanding luxurious restaurants. And with sun all year round, Miami will offer a perfect few days before setting off to the more relaxing Caribbean and Bahamian destinations. Africa is a continent that is often unfairly overlooked by tourists and potential visitors, but for those that venture to its shores, will be welcomed by friendly locals, unbelievable wildlife and also cities that are packed with life and things to do. 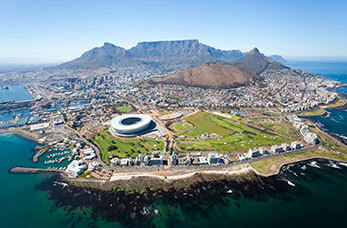 March is a month simply fit to burst with activities and events in South Africa’s second city. Much like all of the country, the celebration of freedom and human rights play a massive part in the fabric of their culture, and Human Right’s Day on the 21st March proves to be an important event in their calendar. For cycling fans, the annual Cape Town Cycle Tour gets larger each year, with over 30,000 riders taking part. Towards the end of March, there’s a chance to catch some of the world’s very best in jazz music with the International Jazz Festival. As well as great events, the city is home to some incredible sights, and for those of a strong disposition, a leap of faith or abseiling down Table Mountain can prove a test of your mettle. If you’re hoping to have your feet a little more firmly on the ground, then the Victoria and Albert waterfront is a perfect leisure destination with a beautiful marina to explore, alongside a fine collection of restaurants, exhibitions and more. If Paris is the city of love, then Rome is the capital of passion. Featuring the glory and history of the Roman Coliseum and many other refined historical sites, the city is also but a stones throw from the Catholic centre of the world, the Vatican. Whether it’s whizzing about on the busy streets atop a vespa or taking in a view of the Trevi fountain, the city is simply bursting with things to do. For the Vatican, March and April mean only one thing: Easter. This event is arguably more important in the Catholic calendar than Christmas, and so this time of year offers visitors a chance to witness the world’s largest religion at its best. Alongside exploring the city’s ancient and Catholic heritage, Rome offers the chance to gorge on some of the best food in the world available in authentic Italian cooking. The Capital of Italy unsurprisingly plays home to a series of visiting shows and art exhibitions too, so you’ll never be too far away from excitement and engaging activities. A cruise around Rome allows travellers a tour across the Mediterranean, with a full exploration of Italy’s major cities and the warm Spanish coast. Spring brings with it the rebirth of nature and awakenings of warm weather. For many, March and April are the ideal time for a trip, avoiding the larger waves of summer tourists and the often unbearable heat. A trip in spring allows you further time to take in the destinations above at your own pace. Cruise Nation are proud to offer cruises to each of the aforementioned locations. We work tirelessly to offer you the best cruises available at the very best prices. Where do you like to visit in March and April? What’s your favourite cruise to take? Let us know in the comments below!